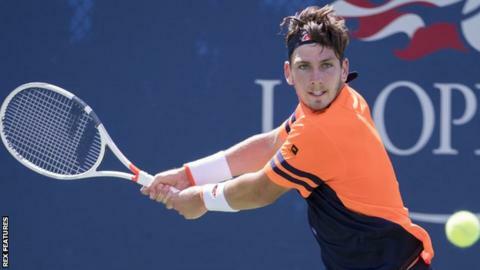 Cameron Norrie says it's a dream come true to reach the second round of the US Open and is very proud he did it "the hard way" by coming through qualifying. Raised in New Zealand by a Glaswegian dad and a mother from Cardiff, Norrie says he's very happy to be claimed as Scottish and feels he couldn't have a better role-model than Andy Murray, whose current hip problems draw immediate sympathy and understanding from the world number 225. "It's pretty important - you're obviously using your hip in every shot," said the 22-year-old. "It's tough for Andy and I feel bad for him. "I saw him a little bit this week. He was hitting a little bit around the gym area and I said hi to him. "It's a tough time for him - obviously as his ranking could drop - but I'm sure he's going to come back even stronger. "He's a very good guy to look up to. He's the toughest competitor out there and I'm just trying to be like him and maybe one day I can get up to his kind of ranking. That's the plan, anyway. "But he's a great role model and a great guy. So I hope he's healthy pretty soon." Murray withdrew on Saturday and may now call time on his whole season. Norrie, on the other hand, has a second-round match against the 12th seeded Spaniard Pablo Carreno Busta to look forward to. "It feels great to be in the second round of the US Open," he said. "It's a dream come true. I never thought I'd be playing in the main draw here in New York this year. "My parents are really proud of me and I'm proud of myself for getting through the qualifying and doing it the tough way. "I'm just trying to enjoy every moment. Sometimes you just look forward to the next thing, the next thing. "But I'm trying to soak it all in right now and I'm just happy and stoked with myself right now. There's a lot going on at the US Open - it's pretty busy. "You're always running into people you know, so it's pretty full-on." Norrie's place in the second round was assured when, leading 7-6 6-1, his Russian opponent, Dimitry Tursunov, pulled out injured. "I just settled into the match, played a tough first set, got through it," he said. "I was just finding my range and played a very, very solid second set. "I wasn't expecting him to pull out. It would've been nice to actually win the match rather than him pulling out. "I'm not complaining though. I'm in the second round of the US Open, so life's good." Of course, Norrie is very well aware of the size of the task facing him in the next round against a player 206 places above him in the world rankings. "Yeah, Carreno Busta is going to be tough," he admitted. "He's got good ground-strokes and he's a really disciplined player who's not going to make too many errors. "But I'm excited. I feel I play my best against players like him, so I'm just going to go out there and do my thing and hopefully have another tough match. "I'm really looking forward to it. It's going to be an exciting one, hopefully on a bigger court." One man who won't be there cheering him on is his father, David, who was born in Glasgow. He had already made plans before his son surprised a lot of people by coming through all three rounds of qualifying at Flushing Meadow. "My dad is in New Zealand at the moment, so he was up at 3am just watching the live scores," Norrie revealed. "I'm not sure if they actually were able to watch it. "He's heading to Europe soon, doing some of the Tour de France routes for cyclists with a couple of friends. "He would love to be here, but he'll come next year for sure. 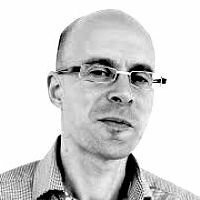 His side of the family is from Aberdeen - Kintore, a little village. It'll be nice to get back there at some point. "It's just that the weather's not good enough for me and there's not many tennis courts in Kintore. " Having starred in the American collegiate tennis system, Norrie plans to stay on adopted soil for the time being, but hopes to move his base back to the UK at some point in the near future. "I'm going to stay in the States for the rest of the year and play on the hard-court Challenger circuit," he said. "Hopefully I can get my ranking up and start actually getting out of the States and get back to the UK and be based there. "That's kind of the plan. I'm happy where I'm at right now and everything's going my way, so I'm just trying to keep that rolling."